Brawl: Snake’s Final Smash - GameSpotting! 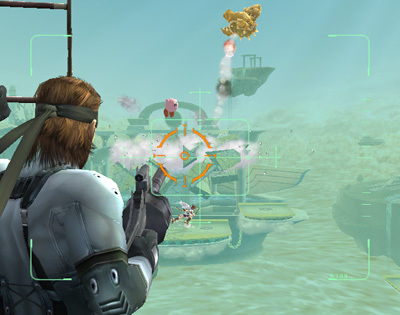 Snake’s final smash consists of him jumping in the air and GET TO THE CHOPPA! The game then shifts to and over the shoulder view where you can shoot via a grenade launcher. You can only shoot 12 rounds though. To aim you just move the WiiMote and just press fire (the B button?). You can’t just sit there forever though, you are on a clock, it’s best to fire as much as you can. If you use all your rounds, the Final Smash is over. New backgrounds! »« Original Titles to include Burnout 3, Golden Eye to Live Arcade?